China is orbiting the moon – and is about to (try to) land on it. Almost exactly 50 years after NASA’s Apollo 8 mission successfully put astronauts in orbit of our satellite for the first time, a Chinese probe called Chang’e-4 (CH-4) now circling the moon is about to send a lander to the moon’s far side. That’s a destination no space agency has visited before, and it will be a huge test of China’s space technology – and a massive source of national pride if it comes off. Could it be the beginning of another space race to get back to the Moon? There’s a belief that the China National Space Administration (CNSA, the national space agency of China), is quasi-military and keeps everything under wraps, but in reality, it’s little different to NASA. A few years ago it broadcast the landing of its Chang’e-3 (CH-3) moon probe live on Chinese state broadcaster China Central Television’s English language channel. You can watch it all live online at CGTN. It’s due to land December 31, but that could very easily (and most probably will) slip to the first few days of January. 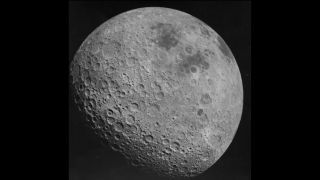 What is the ‘dark side of the moon’? There is no such place. The phrase was popularised by prog-rock band Pink Floyd’s concept album Dark Side of the Moon in 1973, which became one of the best selling albums of all time. Some think that the “I’ll see you on the dark side of the moon” refrain is something about insanity, and perhaps a metaphor for humanity’s dark side. It’s definitely not about our satellite, which has no ‘dark’ side. Yes, it’s tidally locked to Earth, so shows us only one face. It takes as long to rotate on its own axis as it takes to complete one orbit of Earth, which is also the length of one day on the moon – 29 days. Its face wobbles a bit, but essentially when you look at a Full Moon it always looks the same. However, the phase of the moon depends on its position relative to the Earth and the sun, and the opposite side – the ‘far’ side of the moon – gets just as much sunlight, and therefore has the same phases, as the near side. Why land on the far side of the moon? CH-4 is headed for the Von Kármán crater in the moon’s South Pole-Aitken Basin. As well as being unexplored, it may have water. CH-4 will test for that and take photos. Also, the moon’s far side lacks electromagnetic radiation, which Earth’s proximity causes on its near side. So astronomers think that it could be a good place to put telescopes. CH-4’s lander has a few of its own, so will test that theory. The far side is also an impossible place to communicate with from Earth. During the Apollo missions, the crew in the command modules went out of radio contact for about 45 minutes during each orbit. However, last summer China launched a satellite called Queqiao to relay signals from CH-4 back to China. That’s great news because it means the entire event can be shown live on TV. When did CH-4 leave Earth? China’s latest mission to the moon began on December 7, when it lifted-off from Xichang Satellite Launch Centre in China’s Sichuan province atop a Long March-3B rocket. On December 12, it slammed on the brakes after about 240,000 miles/385,000km from home and went into orbit around the Moon. It’s sitting there now, testing its systems. Who else is going to the Moon? In March 2019, the Indian Space Research Organisation (ISRO) plans to send its Chandrayaan-2 probe to the lunar surface, a mission that will also have a rover. The Japan Aerospace Exploration Agency (JAXA) also has plans to put a lander and a rover on the lunar surface, as does Israeli space company SpaceIL, which wants to measure the Moon’s magnetic fields early in 2019. 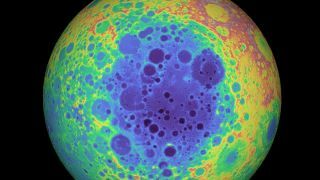 NASA also has its own plans to revisit the moon using private companies. What is the Chang’e-5 mission? Chang’e-5 (CH-5) is an even more ambitious planned mission that in 2019 or 2020 will land on the moon, scrape-up a rock sample, then launch it back to China. Technically speaking it’s the first step towards a crewed mission, but even on its own, it will instantly put China in the ‘moon rock’ club alongside the US and Russia. That would be highly symbolic and would underscore China’s rapid advance as a space power even more than CH-4’s projected moon landing in the New Year.